Make a bold statement in your bedroom with our stunning Navy housewife pillow case. Made from 50% cotton and 50% polyester, this pillow is perfect to rest your head after a long tiring day. 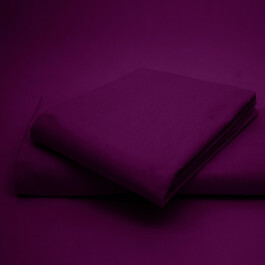 The lavish polycotton material will give you a soft touch, permitting you to relax in complete comfort. Our easy to wash navy housewife pillowcase can be machine washed to make it look fresh and neat. Mix and match with our additional items to complete the look of your room.